Programs and services are provided by an interdisciplinary team of health professionals that focus on prevention and wellness, information and health promotion, as well as primary care. Our goal is to help clients take control of their own health as much as possible, as well as help them access the programs and services they need. Clients are helped by our interdisciplinary team that includes doctors, nurses, nurse practitioners, dietitians, chiropodists, physiotherapist, social workers, health promoters, educators, case workers and harm reduction workers. We strive to treat the whole person considering all their specific health concerns. Our multidisciplinary clinical team of physicians, nurse practitioners, and nurses offer comprehensive primary health care services for registered clients of all ages. Smoking support and information is available for smokers at all stages of change. 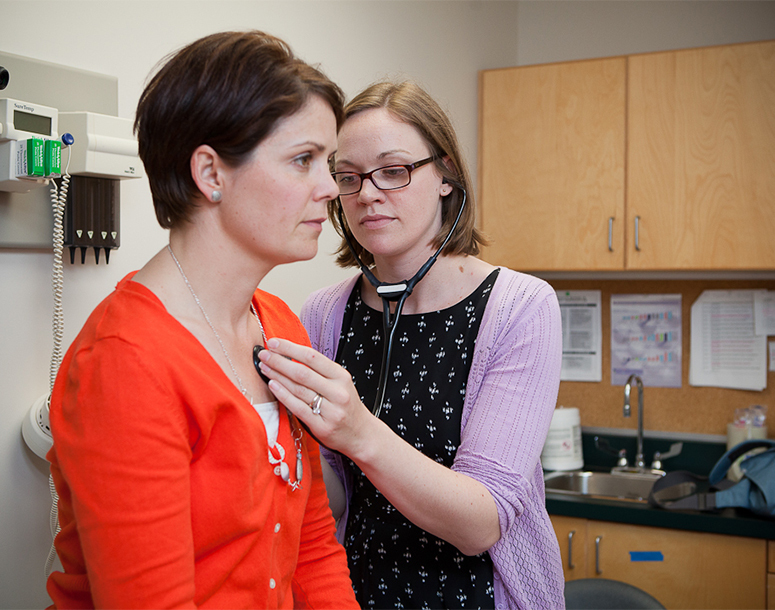 One-to-one counselling around smoking is provided by a Respiratory Therapist specially trained in smoking cessation through the TEACH program. Physiotherapy is branch of rehabilitative medicine that focuses on relieving pain, maintaining function, and quality of life for individuals with chronic diseases and or physical injury. Chiropodists are regulated health care providers who treat diseases and disorders of the foot and ankle. As part of the health care team, they work to improve a client’s overall health, mobility and independence.